Hope you are having a good week. I am having fun and spending extra time helping Momma with her work. This week she let me help go through some vintage children's books. I found a book that has pictures of a dachshund from 1963. Momma said I could keep it, so it is on our little doxie shelf here. I loved glimpsing how a dachshund lived in the 1960's. 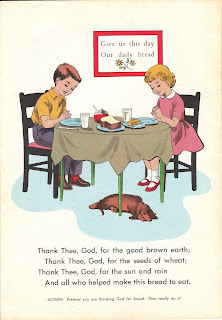 The book is called How God Gives Us Bread, and it is by Mary LeBar, with illustrations by Vera Gohman. The front cover has children eating bread with jelly. There is no clue of what is inside the book. If you ask me, they left the most important character in this book out of the picture! Inside the book there are more pictures of the little children and their family. They visit a farm to see wheat being harvested. Best of all, their little dachshund carries his leash to them and they take the hint and take him along. They must be a very nice family! Look how hopeful that dachshund looks. I can see why they took him along. At the farm, the dachshund got to run and play, and he watched everything with big eyes. When they got home, the dachshund found a red ball to play with. 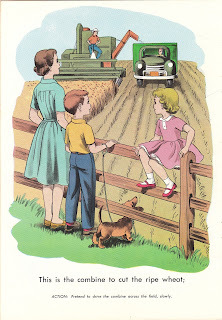 The children were more interested in pointing at a bakery truck. I wonder why that was? That red ball looks much more fun! This was a fun book and I enjoyed reading it. The pictures were the best part! 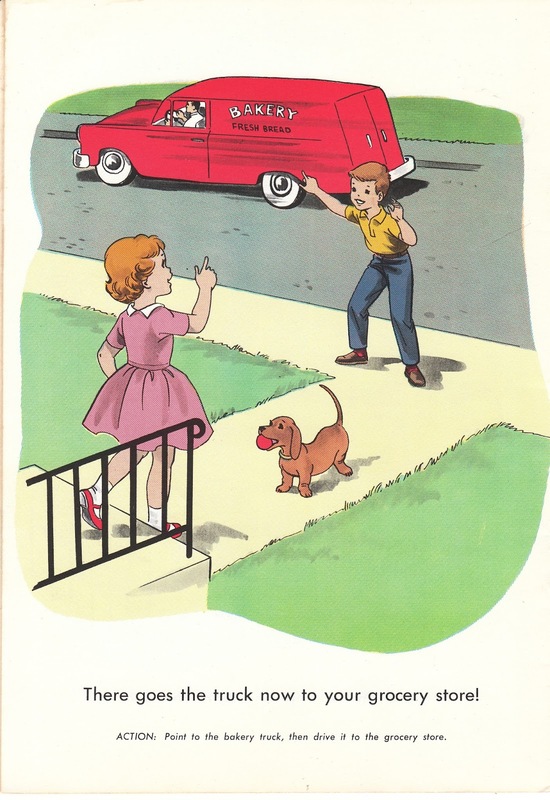 So there you have it - a dachshund's life, circa 1963. How has your week been? I am still looking for questions to answer here, so hope you will leave some questions in the comments. That is so cute! Before my time, but you sure reproduced the pics nicely! Abby sure is cute, we have a beagle and I think they share those soft ears! OMG! How cute! These doggies are so cute! Thanks for sharing! 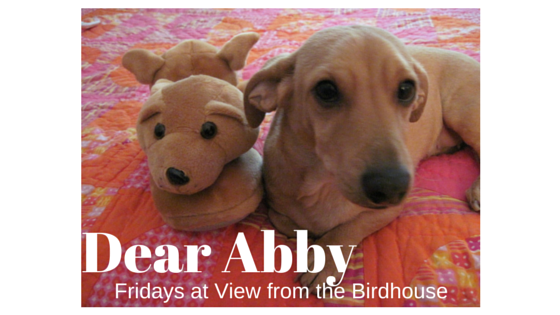 Abby, the only problem was the dachshund didn't get any bread! I love discovering dachshunds hidden in story books. I have picked up some over the years, but recently started my "official" collection. I like to study the pictures, how they are drawn. Any dachshund lover can tell if the poses are true! Thanks for sharing this story book with us, Abby! I am always looking for treasures yet to be found. I love reading Abby's posts! 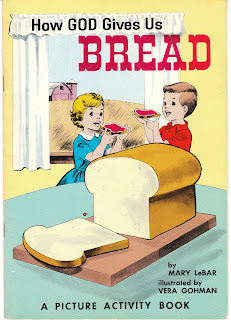 Even though I was around the right age when that book came out, I've never seen it before. I'm human but I love books with Doxies too! Thank you so much for your visits and comments! I love reading your comments here. HoldenJ, I love Beagles! My neighborhood crush is a little lemon Beagle. Me Imperturbe, I must say I agree with you! 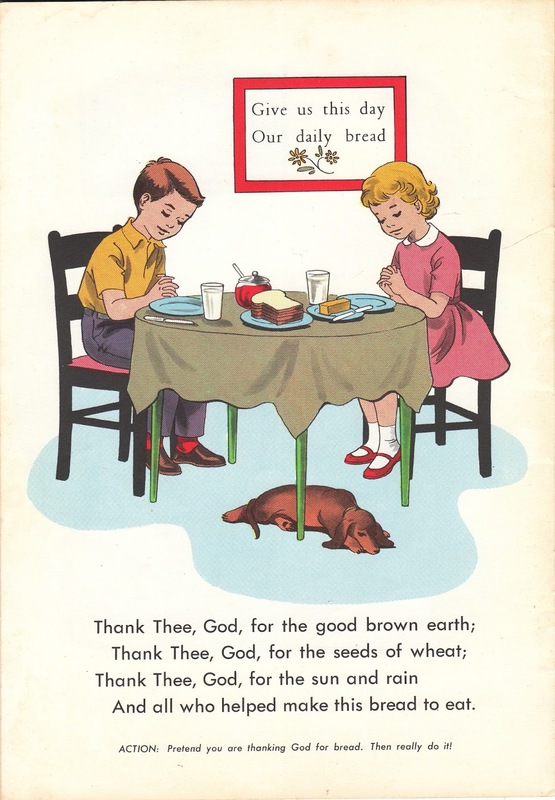 That dachshund should have gotten some fresh-baked bread! 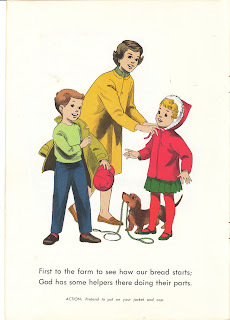 Barbara, my Momma and I love to look for hidden dachshunds in story books too. We are both so excited when we find them! Glad you started a doxie book collection ... that is fun! Debbie, my Momma also loves books with doxies! She had never seen this book before either. 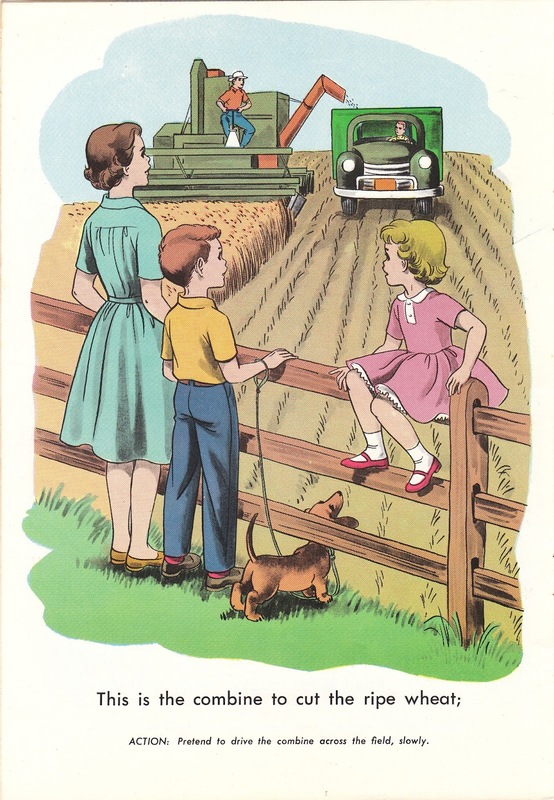 This does look like a fun children's book, Abby. Hope things are good in your dog house! Thank you, Brenda! I appreciate the visit. Hope you are having a good summer!